New 3BR/2BA spec home with a 12 x 12 Sunroom added to the plan for flexibility in the great room. Exterior will feature vinyl siding and stone. Floor plan has split bedrooms for privacy- all with walk in closets and a conveniently located separate laundry room. Nice foyer provides a sense of arrival and opens into the great room. Desired open concept has great entertaining space with nice eat in kitchen adjacent to great room. Granite counter tops, SS appliances and plenty of cabinets round out the features in the kitchen. 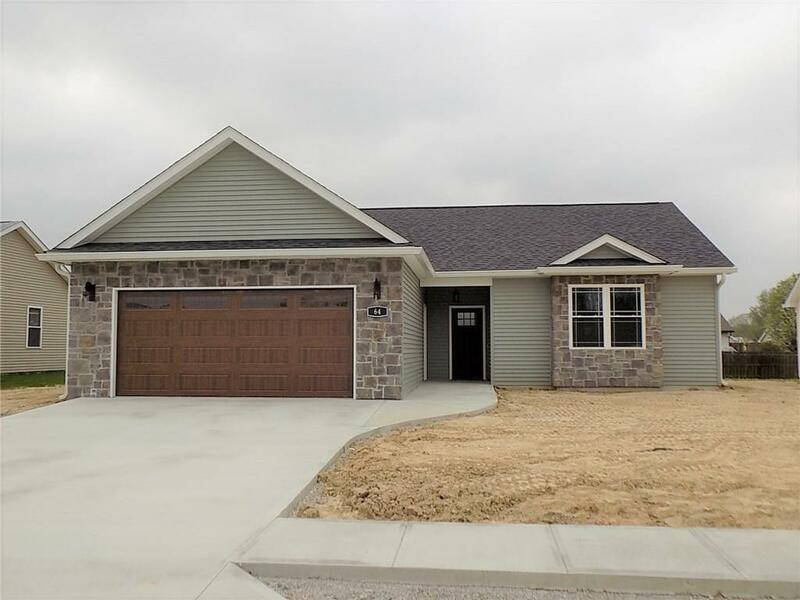 Whispering Winds is Greencastle's newest community and is selling quickly. Still plenty of time to choose your finishes! Photo shown may show amenities not included in base price.